The General Data Protection Regulations (GDPR) requires any organisation that gathers data/information on individuals to be open and transparent in relation to the use, storage, sharing and deletion of that data. 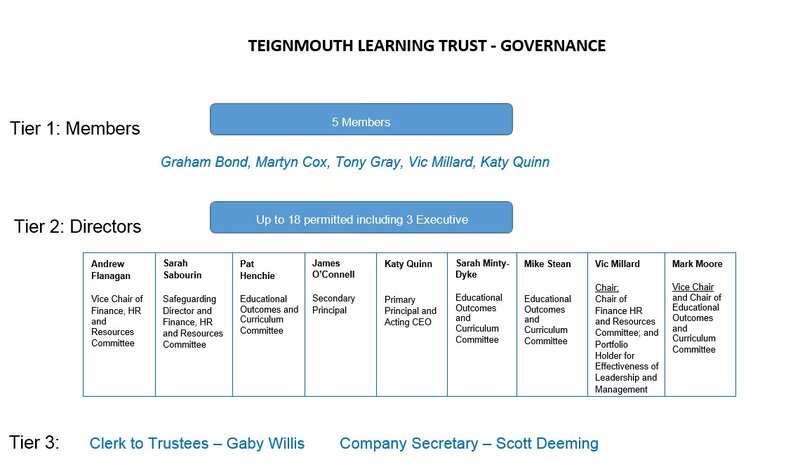 Teignmouth Learning Trust has undertaken a full information audit across our Trust, and will continue to do so in order to maintain an accurate record of our processing activities and to ensure GDPR compliance. We have appointed a Data Protection Officer (DPO) who is responsible for overseeing our Data Protection Policy and implementation, to ensure the Trust remains GDPR compliant. Each school within our Trust is a Data Controller (DC) with responsibility for determining the purposes for which, and the manner in which, any personal data is processed. If you have a query about yours, or your child’s, personal data please contact your child’s school in the first instance. To contact our Data Protection Officer please email scott.deeming@teignmouth.devon.sch.uk or telephone 01626 772320.